California has passed a milestone in electric vehicles, with more than 100,000 plug-in cars sold in the state since 2010, the California Plug-In Electric Vehicle Collaborative announced Tuesday. San Diego and South Orange County account for about 10,000 of the total, with local EV sales and leases up 130 percent over last year, according to San Diego Gas & Electric. With Californians buying about 40 percent of the all of the electric vehicles sold, Gov. Jerry Brown has set a goal of 1.5 million electric cars on the road by 2025 to reduce pollution and save energy. 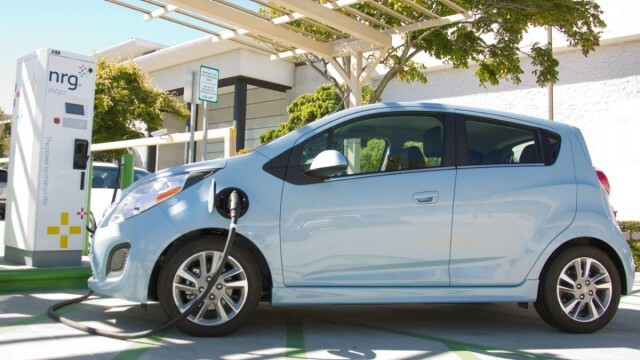 “California’s plug-in electric vehicle market is ramping up, and we expect to see significant growth over the next 10 years as customers realize how economical and convenient they are,” said Christine Kehoe, a former State Senator from San Diego who is now executive director of the plug-in electric vehicle collaborative. The collaborative cited data from a variety of sources showing that Californians bought 102,440 electric vehicles from December 2010 through August 2014. Driving on electricity is the equivalent of driving for $1 per gallon of gasoline, according to the collaborative. The collaborative is a public/private organization focused on accelerating the adoption of electric vehicles to meet California’s economic, energy and environmental goals.